This post is just really a quick reference for me to remember some Astronomy Information. How do we measure things in space? For instance, how do we measure our distance to the moon, or the distance from Earth to the Sun? Millimeters, Centimeters, Inches, Feet, Yards, Meter, Kilometers and Miles all work great here on Earth to measure distances, but these are just to small to measure larger distances – like in space. How far is the Sun from the Earth? Answer: the average is about 150,000,000 KM (149,597,871 to be more exact). 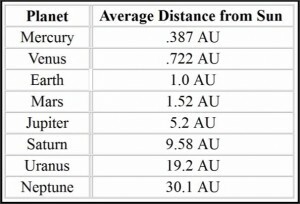 We use this distance as a unit of measurement for measuring long distances in space and we call this unit an “Astronomical Unit” or AU. 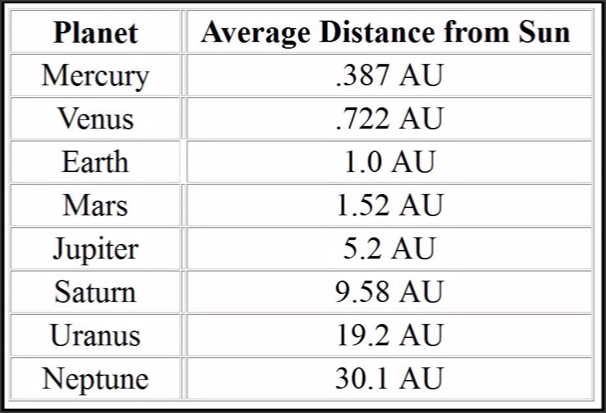 Above is a quick chart showing the distances from our Sun to the planets in our solar system. How about Longer distances? We measure those in Light Years. Light will stream through the vacuum of space at the incredible speed of 300,000 km/s (Kilometers per second). 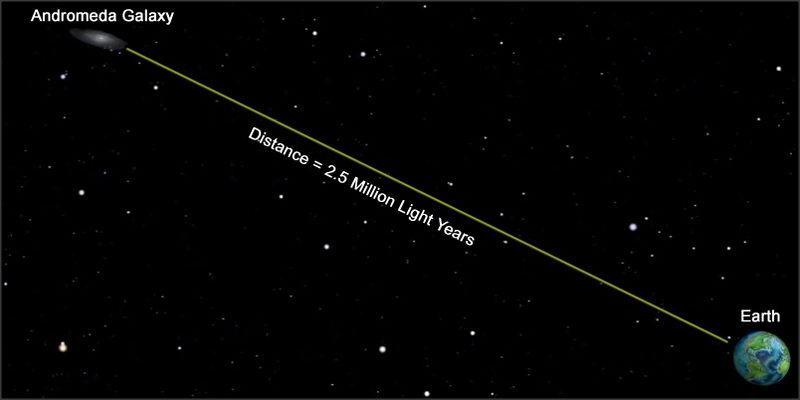 A Light year is the distance traveled at that speed in 1 year. 1 year would be 365.25 days. The light year is a useful unit to measure distances to stars and other deep space objects. For example, the distance from Earth to the Star “Sirius” is about 9 light years away. The distance to the North Star (Polaris) is 434 Light Years. Some deep space objects are even further away. For example, the Andromeda Galaxy (M31) which is the closest galaxy to our own (Milky Way) is about 2.5 Million Light Years from Earth. And even Longer distances? The next level of distance to measure even further distances are called PARSECS. Where does this come from? In short – a parsec is a distance of something that has a parallax angle of one (1) Arc Second.